MILTON KEYNES, United Kingdom--(BUSINESS WIRE)--According to the latest quarterly research from Strategy Analytics, global smart speaker shipments grew an astonishing 197% year-over-year to reach a record 22.7 million units in Q3 2018 putting the market on track to surpass 100 million units in use during the final quarter of the year. Amazon remained the number one ranked vendor in Q3 with 32% share followed by Google at 23% share. China’s Baidu was the biggest mover in the quarter increasing its share from just 1% in Q2 2018 to 8% in Q3 2018. Baidu has joined Alibaba and Xiaomi in a three-way battle for leadership of the fledging smart speaker market in China. 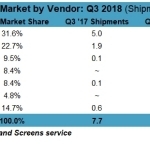 Exhibit 1: Global Smart Speaker Shipments by Vendor in Q3 2018¹. (Graphic: Business Wire) ¹Numbers are rounded.